Below you will find all of the resources found at our events, including Maths Craft handouts, links to further information, and more. All Maths Craft handouts are available under a Creative Commons Attribution-NonCommercial-NoDerivatives 4.0 International Licence. This means that they are free to be used at home, in a classroom, or for any other non-commercial purpose provided that they are not edited and appropriate credit is given to Maths Craft New Zealand. Modular origami is made from simple units which are connected together to form a more complicated structure. Each unit is folded from a single piece of paper. A nice unit to start with is the Sonobe unit. 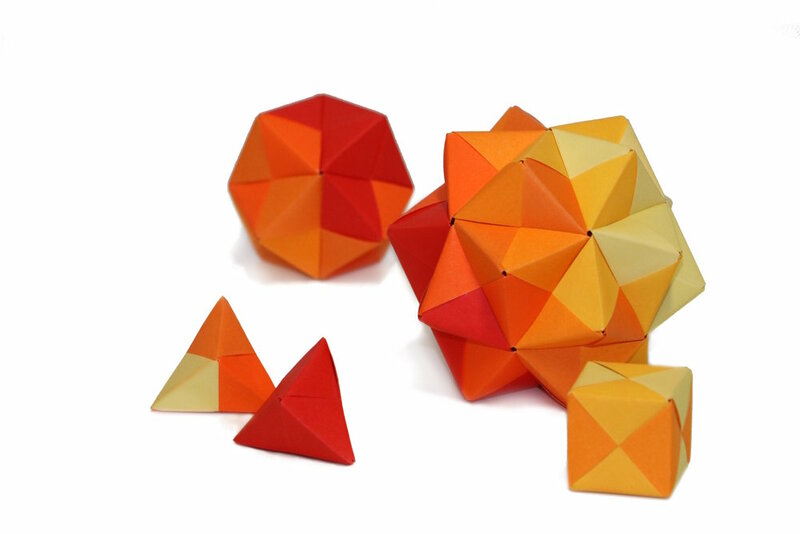 These Sonobe units can then be assembled into a cube or a small triakis octahedron. Instructions and videos for assembling Sonobe units into other polyhedra can easily be found online. A Möbius strip is a surprising object; it’s a surface with only one edge and one side. Start with our instructions for making and investigating paper Möbius strips. You can even make entwined Möbius hearts. Crochet a Möbius strip using either of two different methods. 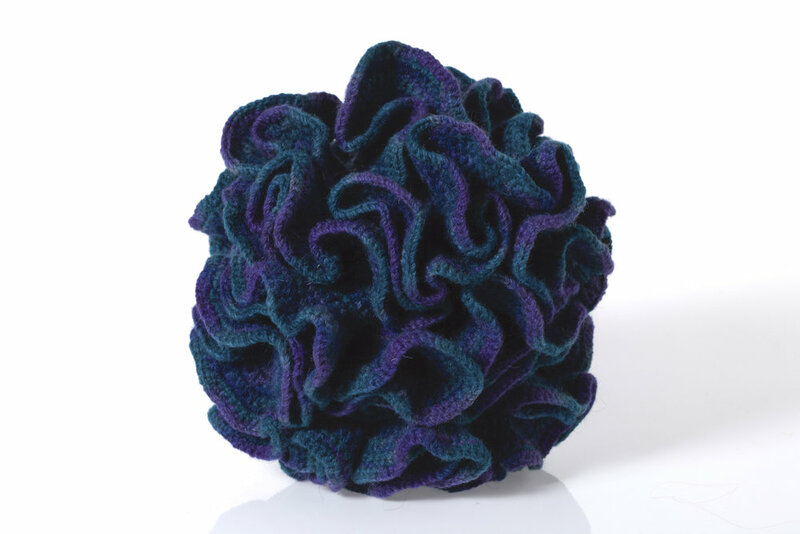 Or crochet a hyperbolic plane, a surface with constant negative curvature which minimises volume while maximising surface area. Not sure how to crochet or need a reminder? Start with our handout on useful crochet stitches. Fractals are mathematical objects built from repeated copies of themselves. Create a fractal sculpture from business cards. Start by making single cubes, and then assemble them into a sculpture representing a Menger Sponge. Here's more information on fractals from Think Maths, the people behind the MegaMenger project. A mathematical knot is a length of string (or knitted tube) which is wrapped around itself, with the ends invisibly joined to form a continuous loop. 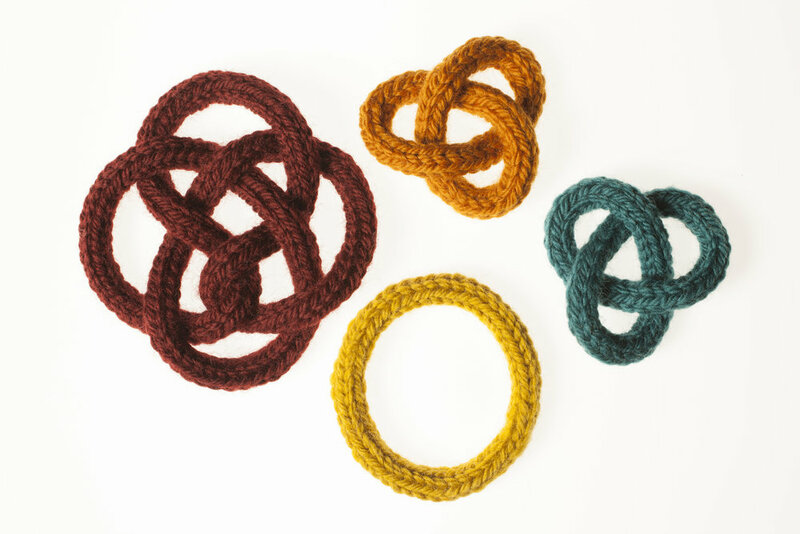 Learn how to French knit a tube, then use your French knitting to make mathematical knots. A flexagon is a folded paper polygon with hidden sides that are revealed when the paper is flexed. Start with the tetratetraflexagon template and instructions. Or try our trihexaflexagon template and instructions, then learn how to flex your hexaflexagon to reveal the hidden faces. Once you've mastered those flexagons, try our hexahexaflexagon template and instructions. We have four mathematical colouring sheets. The Four Colour Theorem is a famous and once controversial result in mathematics. You can also try your hand at colouring our curves of pursuit or Latin Square. 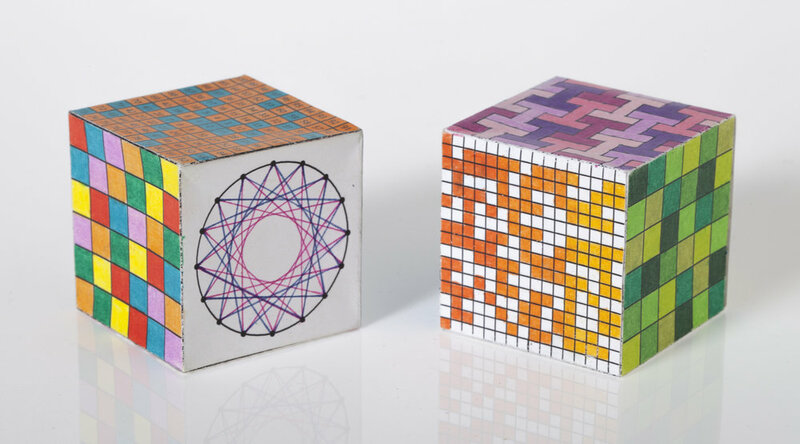 Or you can colour and create your own mathematical colour cube. For more mathematical colouring, try this book. An impossible triangle is a triangular shape that can be drawn on paper but can't be constructed in three dimensions; try drawing one using our template and instructions. Or try drawing some pursuit curves using our instructions and template. A meander is a repeated pattern or motif, usually constructed from a continuous line. In our handout, we focus on “broken” or “hook” meanders, reminiscent of intertwined spirals. 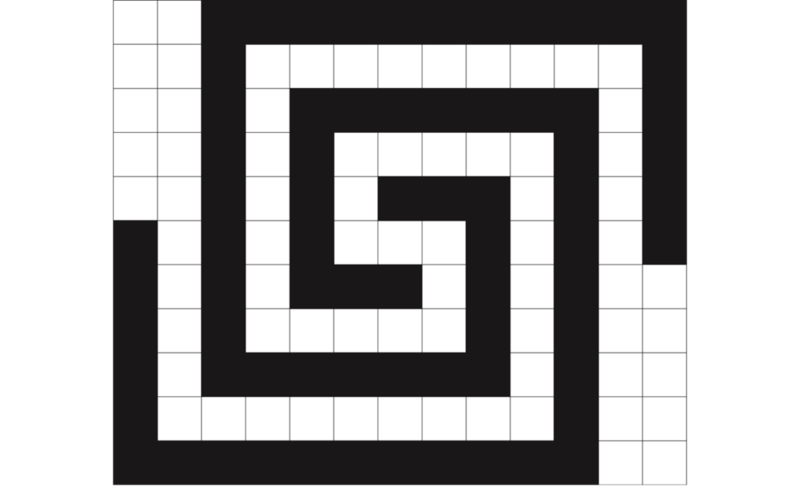 These meanders can be drawn on our large and small grid templates, or on any gridded paper. Meanders are common decorative elements in ancient Greek and Roman art; there are many lovely examples of this meander on objects displayed in the Teece Museum at The Arts Centre in Christchurch. Make curves from straight lines to form intricate designs. Wrap string around card circles to make circular or heart-shaped designs . These designs can also be made by drawing lines on paper. We have instructions for drawing string art, along with a template, or drawing circular string art with a template. 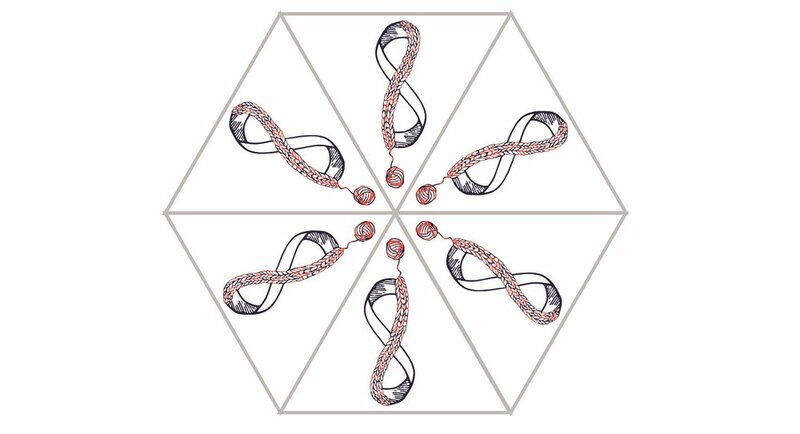 A Penrose tiling is a non-periodic tiling named after Sir Roger Penrose. The tiles used at some of our Maths Craft events are called the "kite" and "dart", which give an aperiodic tiling when following a simple set of rules.